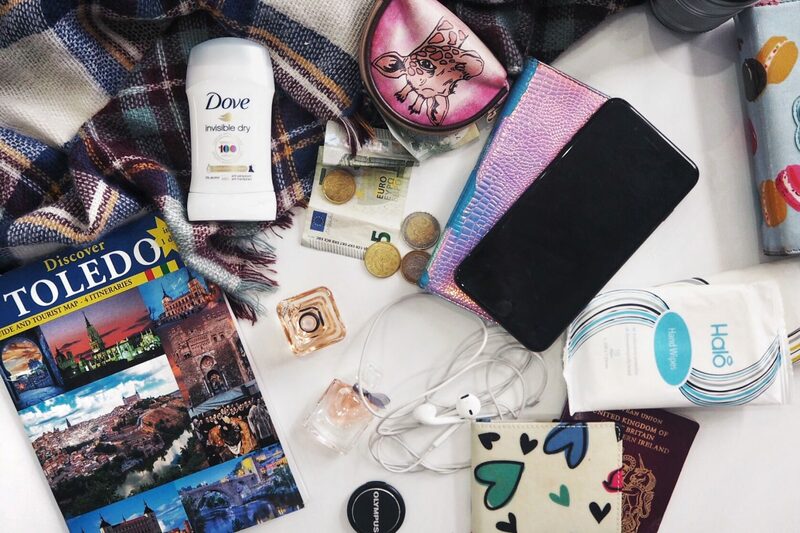 What should I pack in my hand luggage? Let’s start with the thing you definitely will not be getting far without – your passport. Yes, this may seem like the obvious choice, but I can guarantee you there’s probably a daily case at each airport of someone either packing their passport in their suitcase or forgetting it altogether. Luckily, I am not speaking from experience with this one. But yep – don’t forget to keep your bloody passport handy! I’m lost without my phone in everyday life, never mind when I’m travelling. I would assume having your phone by your side in your hand luggage is pretty obvious, so let’s instead highlight the headphones. For me, there is nothing worse than getting on a plane and realising I’ve forgotten my headphones. The. Worst. 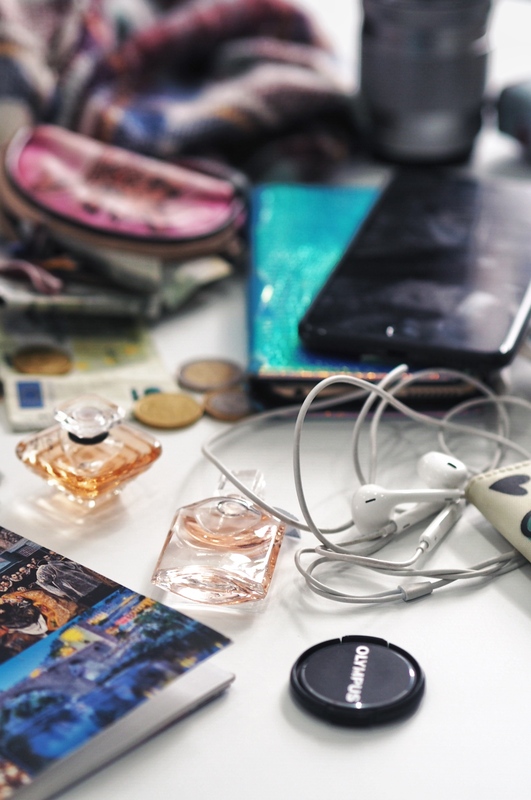 I get travel sickness to the point it gives me panic attacks, and I have certain songs that really calm me down, so without those headphones, I’m lost (and quite often a little bit of a mess at some point in the journey). In fact, I usually end up taking two set of headphones, just in case I lose a set. Always gotta be prepared! Maybe not something I should openly confess, but by time I’ve travelled to the airport, lugged my suitcase around, made my way through the shops and boarded my flight, I’m pretty good at working up a sweat. Surely I can’t be alone in this, right? I always, always make sure to carry a cream deodorant stick with me. Why a cream one and not a spray? I can use it silently without gassing everyone out, even on the plane. Fun fact: cream deodorant also has the added benefit of preventing chub rub when applied in the chub rub region. You’re welcome! Now that I’ve admitted to getting a bit sweaty on my long journey days (c’mon, I know it can’t just be me! ), it leads me on nicely to my next hand luggage essential – perfume. There’s nothing worse than worrying that you’re a bit smelly, so I always make sure to keep a perfume handy just in case. I tend to reserve any miniature perfumes I have for my travelling because, of course, all liquids need to be under 100ml. But I didn’t need to tell you that, right? Or, if you fancy treating yourself, you can always pick up a luxury British perfume in the duty free shop instead! After boarding an abundance of flights in my lifetime, and having many excruciating delays (normally on flights that are already pretty late in the night – bloody typical! ), I can tell you from experience – it gets bloody boring if you don’t take something with you to keep you occupied… just like I didn’t when I got delayed in Mallorca on my own.  So please, even if you’re not planning on reading whilst you’re away, take a book with you! You never know when you might need the company of some fictional characters. Something surprisingly overlooked quite often and yet with so many wonderful functions whilst travelling – the mighty wet wipe. Get ’em in your hand luggage straight away. Spilled a nasty coloured food down your top? Wet wipe. Hands are feeling a little bit grubby? Wet wipe. Face needs refreshing? Wet wipe. Found a table to sit at in Burger King but it’s not been cleaned? Wet wipe. You get it. So there we have it. My eight hand luggage essentials. 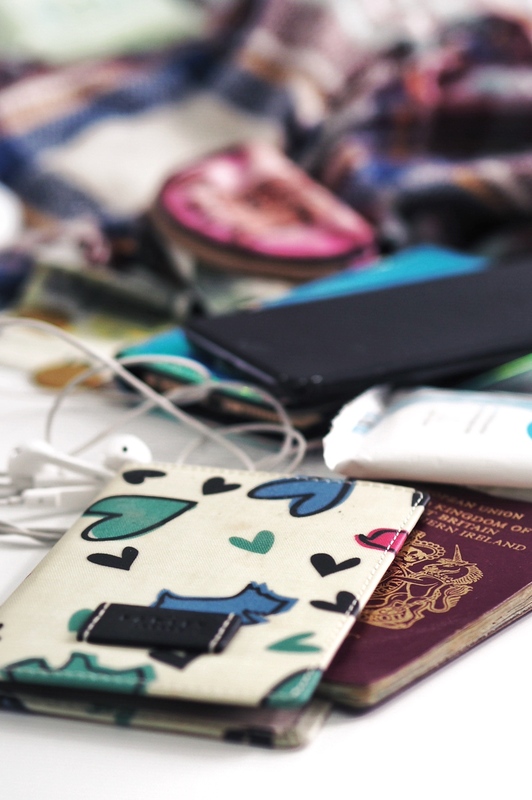 What do you always make sure to pack in your hand luggage? *This post is sponsored but all words are my own. A free 5* holiday to Switzerland? Yes please!